Education is the passport to the future, for tomorrow belongs to those who prepare for it today, Malcolm X, the popular American Muslim minister and human rights activist once said. And in local parlance, the old saying rings true, that education is the best policy. This explains why education as the bedrock of society, is given prominent attention by governments of the first world. In Nigeria, funding of education has become an endless tussle between the government and unions/stakeholders in the education sector. The resultant effect of the poor funding is the falling standard of the public school system across the country. This has also warranted the proliferation of private schools. The deplorable nature of public schools has over the years led to the mass movement to private schools that charge high tuition fees. A report by The Business of Education in Africa last year revealed that Nigeria is home to more than 11 million Out-of-School Children (OSC), which is a hard nut for officials of the Universal Basic Education (UBE) in the various states to crack. It is more worrisome that Lagos State, which is the Centre of Excellence in the country, contributes to the out-of-school children figure. 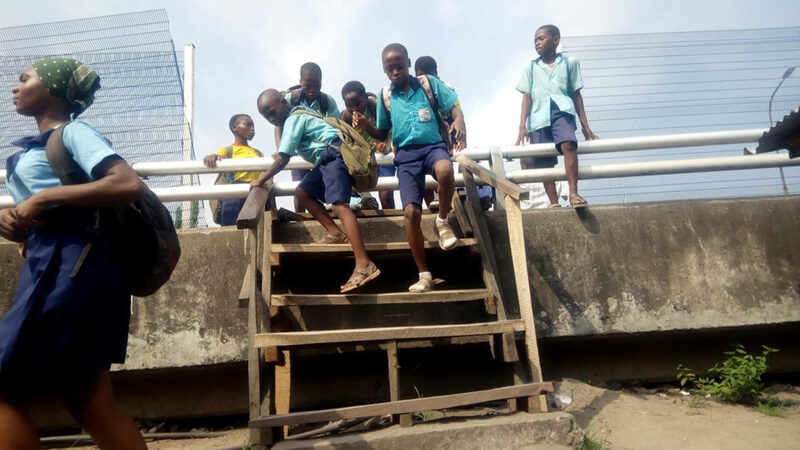 A walk through the streets of Lagos on weekdays reveal the large number of children of school age loitering the streets and who are not productively engaged in some vocational training. Findings reveal a lot of factors responsible for this trend in many of the hinterland communities, which range from poverty to poor awareness and non-availability of public schools in their localities. Despite the seeming odds, some still make the daunting effort to acquire knowledge. One of them is Felicia Folahan, a Junior Secondary School 3 student of Ikoga Junior Grammer School, Badagry, Lagos State. To get to school from Erekiti, where she lives with her parents involves walking for hours, usually between three and fours hours. Her options are limited, it is either she abandons schooling for farming or commutes to school by riding on a motorcycle, but the daily cost is prohibitive for her parents, which is N300 at the least. This, her parents have repeatedly told her, they can’t afford. Her mother makes garri for sale from the cassava harvested by her father from the family farm, which is just small enough to engage in subsistence farming. So, she has resolved to take the tough option, be in school and be part of the little education government can offer at a cost, which is spending approximately six hours to commute to and from school besides the little other incidentals that might be required to keep her status as a student. Folahan told The Guardian that she gets to school tired and not in the best frame of mind to learn until another 30 minutes. She said she would usually be sweating profusely whenever she arrives in class, which is usually the third period for the day. And that is the nearest of the three secondary schools she could attend closest to her community. The others are in Agbara area of Ogun State. Folahan is not alone in her predicament. There are many other students in Folahan’s shoes, who live around the Erekiti corridor. One of them is Ayomikun Avoseh. She too daily navigates through the bushy paths to get educated. She disclosed that the situation is more precarious during rainy season, which sometimes forces her to stay back at home and miss some days. According to her, during rainy seasons, the roads become heavily waterlogged with some sections requiring them to pull off their uniform or draw it very high up to be able to wade through the water. Avoseh said getting an okada rider to charge N150 from the school to Erekiti does not come easy as most bike riders do not see the route as a good one to ply. She said it is because the chances of getting a passenger to pick when returning are very slim that some riders would charge not less than N200 after a long negotiation and then wait to take two passengers. She added that the situation becomes worse during rainy seasons as most bike riders would reject coming to her community. During The Guardian’s visit to the community, a young boy, Paul, a student of Ajara Junior Grammer School, Ajara Badagry, was accosted at Agbofipe at about 3:35p.m. on his way home. He had left school around 2:00p.m. and was still heading back home to Erekiti, when he was accosted midway at Agbofipe. This, the students take as routine occurrences, reason they usually move in groups while going and returning from school. The Baale (Community Leader), of Ajara Agbowipe in Badagry, Chief Thonda Pentho, confirmed that he is aware of the plights children in the community go through to get basic education. “Yes, I know about it but there is no solution to the problem for now. We are aware we have to make provision for the land and build the school on it, but the problem is not the land but the money to build on it. You know the situation of the country now. “Another factor delaying the project is that the five communities that make up Ajara are not united. If they are united, the school building can be at the middle of the town, but everybody wants the school to be in their community for their own selfish reasons. What then can I do as the father of all?” he said. Trekking long distances to acquire education away from home is not limited to students in Badagry. Some students living in Agiliti area of Mile 12, also in Lagos commute daily as far as Alapere to get to school. 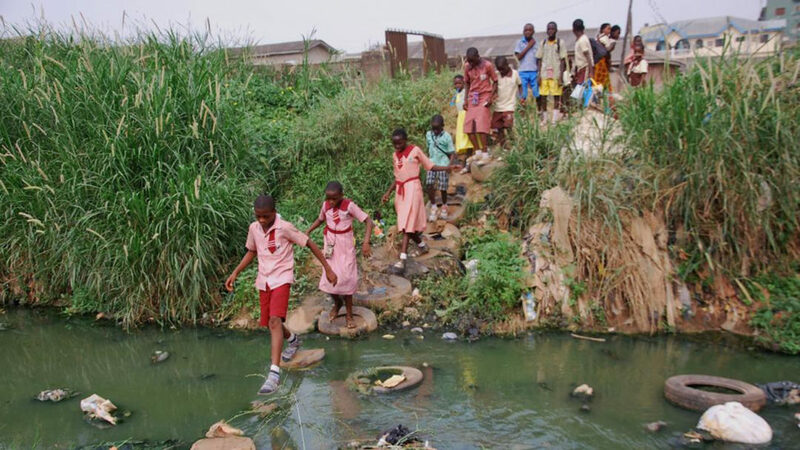 Most times wading through dirty water especially during rainy season as they walk to and fro school. There are also students who live in Makoko but school in Ebute-Meta. For these ones, they also have to cross a major highway to get to Amahdiya Grammar School and Herbart Macaulay Primary School. This is aside from the several kilometres they have to walk, watching their backs and sideways for errant commercial buses and speeding motorcycles driving against traffic. Also, students residing in Giwa-Okearo area of Ogun State, face similar fate. Though not residents of Lagos, their community shares boundary with Lagos and the closest they could walk to attend a public school is miles away in Lagos, which are Iju Grammar School, Fagba Grammar School and Fred Williams Primary School. According to one of the students, Abosede Olanrewaju, they have to walk for 30 minutes before boarding a N100 fare bus. This is repeated on their return home. So, they have to walk that long distance including crossing a bridge built over a swampy area. There are also students who live in Aboru but school at Ile-Epo along the Lagos-Abeokuta Expressway. Daily, they navigate through bushy paths to get to school, which is more precarious during rainy season, as they stay back at home or wait in school for hours after rain for the rainwater to subside. This is to avoid getting caught in the heavy flood, as the alternative to wading through the Aboru canal is spending about N400 on transport, which is a longer route besides the additional cost. A parent of one of the pupils, simply identified as Alhaji Magaji, told The Guardian about the efforts of the community to alleviate the pains of their children seeking to acquire education miles away from home. He said the community usually put a plank over the canal for residents and children to cross over to Oke-odo but after many years of constantly changing the woods to avoid a makeshift bridge collapse, the community is short of funds to maintain it and they are not allowed to collect toll from passersby. “This is why as concerned parents, we are pleading with the local and state government to help us construct the bridge if they can site a new school closer to us, because of our children eager to learn. A JSS 3 student, Dayo Odesanya, also pleaded for the bridge to be constructed to link Aboru and Oke-Odo. He said he would love to go school daily with less stress. “It will make life easier for us and make us have hope of a better tomorrow. Please, Lagos State government, do something. 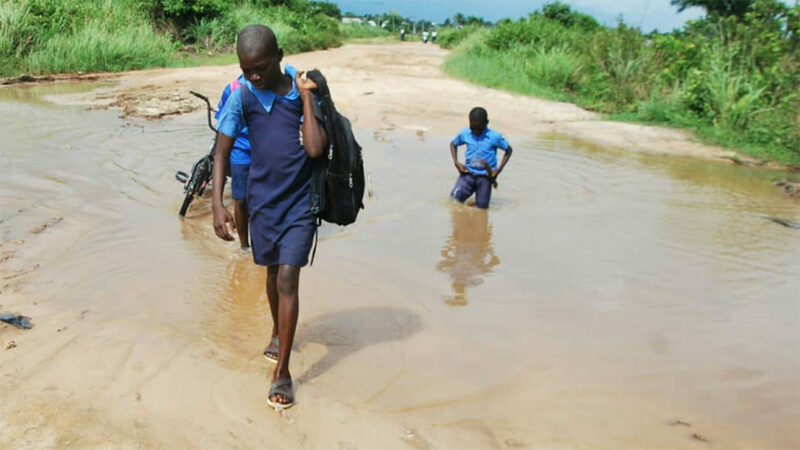 We suffer a lot trying to cross the canal to school,” he said.